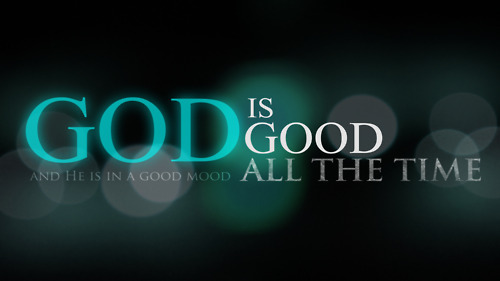 Good is My WORD, says the LORD. GOOD is My WORK. My will is GOOD. My WORD and MY WILL, and MY WORK are the same. There is no separation, no difference and no variance in them. They are completely aligned and ONE. Trust that If I said it, I will it and I work it, says the LORD. I cannot lie, and I do NOT change My mind or My WILL. I do not need a reason not to honor and fulfill every Word that I have spoken. Do not pour over My Word and wonder how, when, where, what, why and who. Didn’t you know that I already had that in mind when I spoke to you? I own everything. I own time itself, says the LORD. I own every person, place and thing. I created you for MY purpose and pleasure. I know where you are, what you need, who you will have alignment with, when it will come to pass and why. I AM in complete control. I do not ant you to frustrate yourself with endless questions and become discontent with the process. I order your steps, says the LORD, and I will bring about every purpose that I have ordained for your life, on time, says the LORD. You cannot make things happen. I can, and will. You cannot rush things, and you cannot stop me. I cannot be pushed or rushed, and I cannot be detained or delayed. Nothing gets in MY WAY and no enemy can stand before ME. I AM ALMIGHTY GOD. TRUST MY WORD! Have faith in ME and My favor that rests upon you. I gave it! I paid in full for it by My shed blood and finished work on the Cross. You cannot earn My favor, but you can receive it with thanksgiving, says the LORD. Begin to thank Me for the who, what, when, where, why and how of your destiny and purpose and KNOW that I will bring it to pass on time and perfect that which concerns you. Walk in confident, unwavering faith and you will find a new level of joy and peace and rest. Then you will relax, knowing that I always finish what I begin; I always do what I said, and I always have control of all things. Let your faith bring you into divine rest knowing that you cannot expedite anything, but you can KNOW that all things will come to pass that I have prescribed for your life because I said so, and that is what WILL be done, says the LORD.